Let’s face it, no one likes being stuck in traffic or dealing with difficult drivers. As much as these elements of driving are annoying, it may be possible that you are the problem. 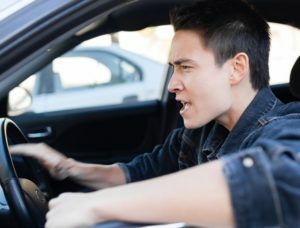 Indeed, most of us equate “road rage” as something that we may not be comfortable with, but there are a number of aggressive behaviors that we engage in on a regular basis that may lead to road rage. There are a few things, according to safemotorist.com, that could help you understand whether you are susceptible to road rage. For instance, if you regularly drive above the speed limit or beat red lights at intersections, tailgate or flash your headlights a driver who is going too slow in front of you, use obscene gestures or yell at other drivers, or live by using your horn, chances are that you are susceptible to road rage. So if you identify with these attributes, it is imperative that you keep your composure while behind the wheel. After all, about two-thirds of traffic deaths are caused by aggressive driving. With that said, there are several things that you can do to avoid the complications (i.e. accidents and injuries) that come with road rage. Don’t try to retaliate – Getting even only makes the situation worse. Simply put, be glad that you’re safe and let it go. Don’t drink and drive – Not only is it against the law, alcohol lowers you inhibitions and may lead you to take unnecessary chances. Stay off the phone – You may not see things coming while talking…the same things that may annoy you if they come as a surprise. Read the latest forms of distracted driving for young drivers.